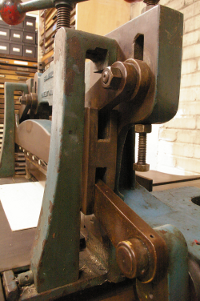 Just finished binding the Poetry Trail Anthology where the creasing machine came into its own. 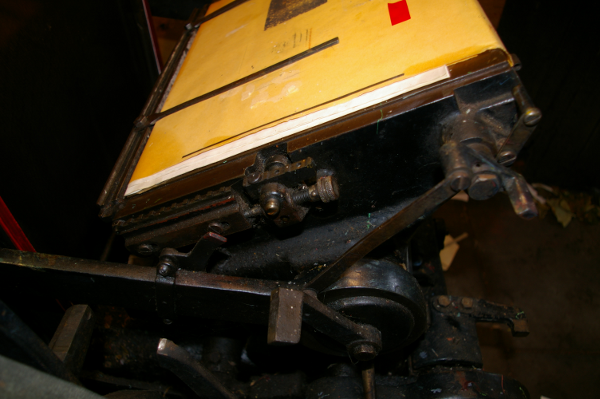 For the short run, it was easier than setting up the platen and easy for the helpers to operate. Thank you Hampson, Bettridge and Action Print. Inspired by the themes of Home and Community, poets and artists collaborated to create works to be shown in property display spaces donated by Estate Agents along Hoe Street, Walthamstow for the E17 Art Trail 2011. We're publishing an anthology of these poems for sale during the Art Trail and beyond! Today was acquired a beautiful 19th century Hampson Bettridge treadle operated creaser. 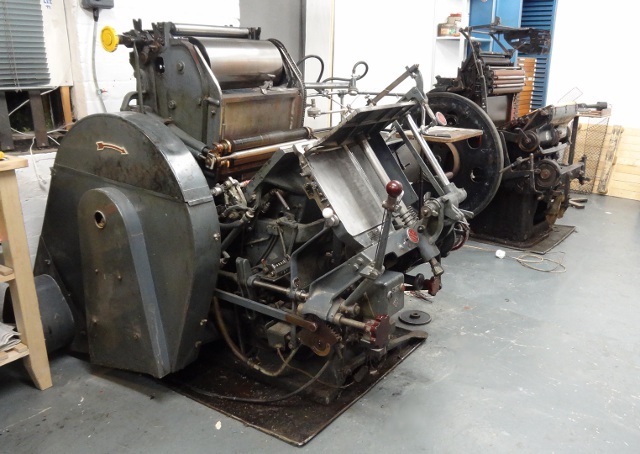 It just fits in the paper handling area next to the guillotine which has just been repaired after its unfortunate accident. 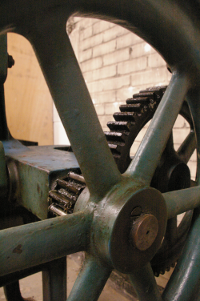 Melvin from the Walthamstow Pump House Museum has managed to re-attach the gear to the flywheel and we're all set to proceed on our second poetry publication: Homing In.